John 13 :7 " What I am doing you do not understand now, but afterward you will understand"
Much of the Christian life is spent trusting Jesus now and understanding later. Jesus typically doesn't always explain on the front end why He is doing something the way He is doing it. 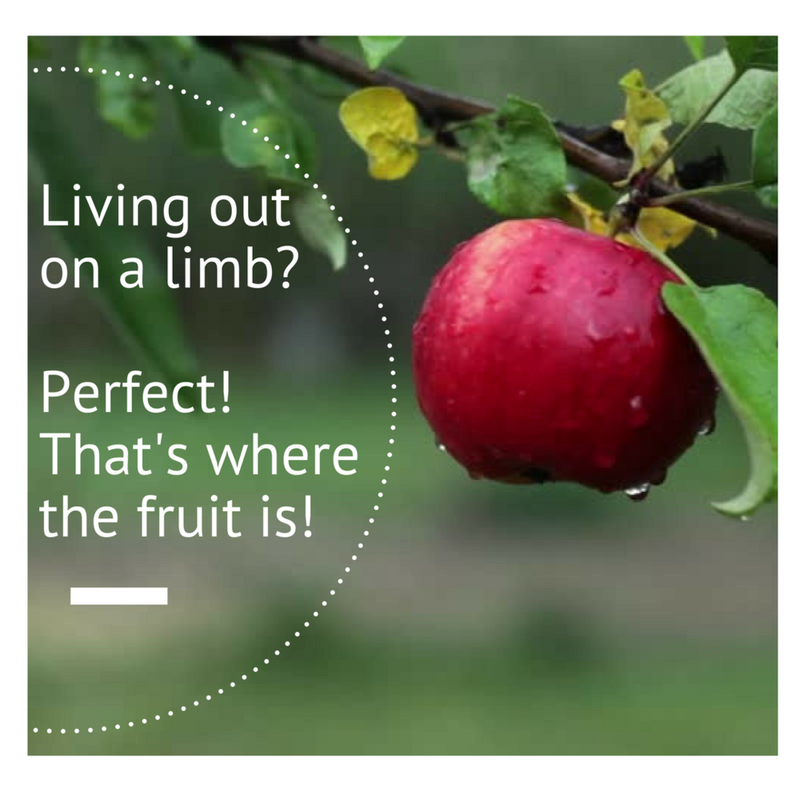 Like Peter, when something looks wrong to us, we are tempted to go against the Lord's will. God wants us to trust Him. During those times when we don't understand, we need to remember Jesus' words to Peter, "What I am doing you do not understand now, but afterward you will understand". Peter had grown used to Jesus doing and saying unpredictable things, but in the context of John 13:7, the way Peter saw it, Jesus washing the disciples feet was just plain wrong. He believed Jesus was the last person in the room who should be washing feet, that was a house servant's job, a non-Jew. People traveled in sandals, their feet were smelly, dirty and came in contact with things the law declared unclean. Here's the twist. Under the law the unclean makes the clean, unclean. But under grace, the clean makes the unclean, clean. Jesus washed the disciples feet, when it should have been Peter down washing the feet of Jesus. It looked like it was all backwards. Peter didn't understand in the now, but he would later. Today you may not understand what God is doing in your life, but trust Him, you'll understand later. Follow the example in His Word, listen to that still small voice that says "This is the way, walk ye in it" (Isaiah 30:21). Remember this simple truth, God is good, all the time. When your down to nothing, God is up to something! Something good. The Lord Saves. The Lord Saves. Yahweh, the Lord saves! He saves us from our addictions. From our bad habits. He saved us from sin. He saves us from getting in further trouble. One of the greatest things about salvation is, the Lord saves us from ourselves From our bad decisions, our mess ups, our mistakes. Grace is giving you victory in your time of trouble! Every day you need to know the Lord saves. The Lord is the name of JESUS, Yeshua! What area of your life needs saving right now? You might say "I don't need saving, I've got things under control". Fine, you're on your own. But if you say, "I need help", the Lord will save. He loves to save, saving is what He does best. In 1 Samuel 14:4 it says, "there was a sharp rock on one side and a sharp rock on the other side". Jonathon and his armor bearer were "caught between a rock and a hard place". There were 30,000 Philistines that came and surrounded the whole area. It says in verse 16 that their enemy was "uncircumcised". That's covenant language, meaning God was not with them. But like Jonathan, God is with us. 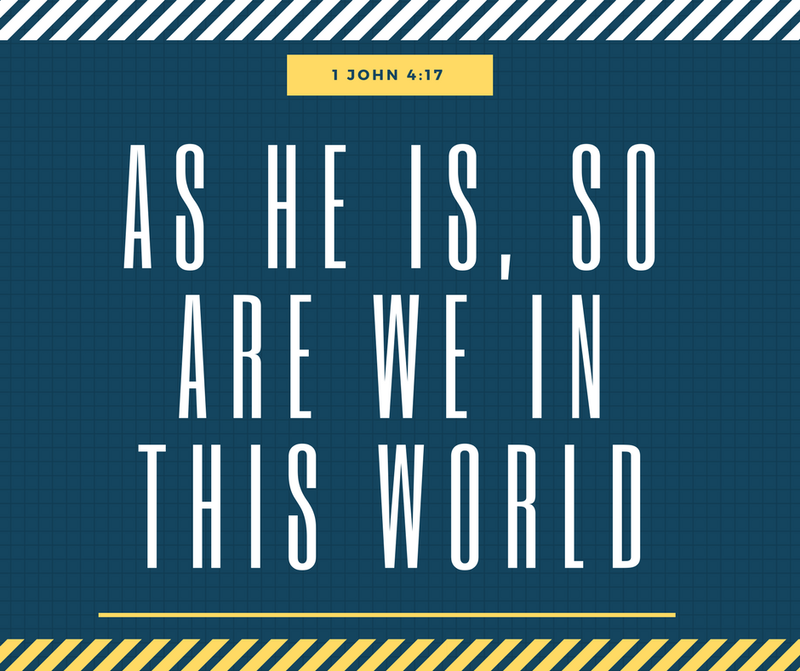 On your job, in your family, in your marriage, in every area of life, why should you be like the people of the world? You must have this attitude, we are God's people! 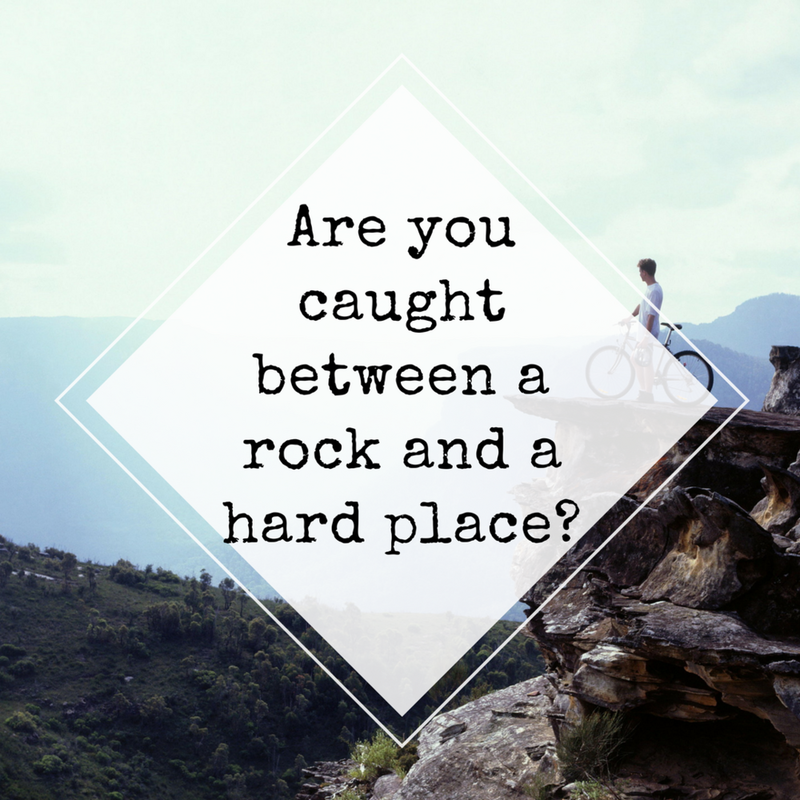 Maybe you feel like you're between a rock and a hard place. Or perhaps surrounded by an impossible situation today. The Lord saves by few or by many. He's not moved by the odds against you. He's not looking at your bills or your bank account. He's not reading over the doctor's report and saying "What shall I do now?" Our verse today says, "He will work for us". While you're resting He's working! The Lord not only saved you, He saves you in every situation. Joshua 1:3 "Every place that the sole of your foot shall tread upon, that have I given unto you, as I said to Moses"
There's basically three types of people that I have met in life. First, people that walk on the toes of their feet. Second, people that walk on the heels of their feet. And third, people that walk on the soles of their feet. People that walk on the toes of their feet tip toe through life, like the teenager who walks in two hours after curfew, and his dad is sitting on the Lazyboy in the living room waiting for him. He tip toes in because of fear. Fear causes people to walk on "egg shells", afraid of situations, people and challenges. People that walk on their heels are those who are ready to go backward at the first sign of opposition. If it doesn't happen immediately they assume, "Well I guess it wasn't God". A little wind can push them back into neutral. People that walk on their toes are those who are ready to move forward at a moment's notice. They are well balanced. They walk with confidence of "knowing the One in whom they believe". The key for Joshua is that four times God instructs him to "be strong and of a good courage". Under God's grace we know that His strength is made perfect in our weakness. When we are weak then He is strong. 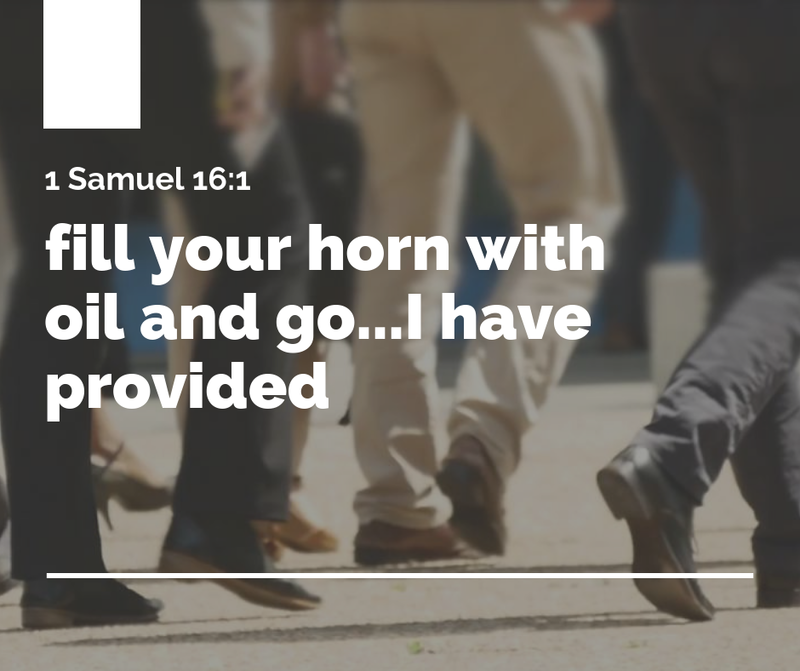 Whatever you're facing today…financial hardship, pain inyour body, a child who's not acting right…, "walk on the soles of your feet". Press toward the mark with confidence in God's Word, toward the victory that is already yours in Christ, waiting for you to receive it. Toes, heels, soles…you get to choose. Philippians 3:14 "I press toward the mark for the prize of the high calling of God In Christ Jesus"
Even a dead fish can swim downstream. Know why? There's no resistance! 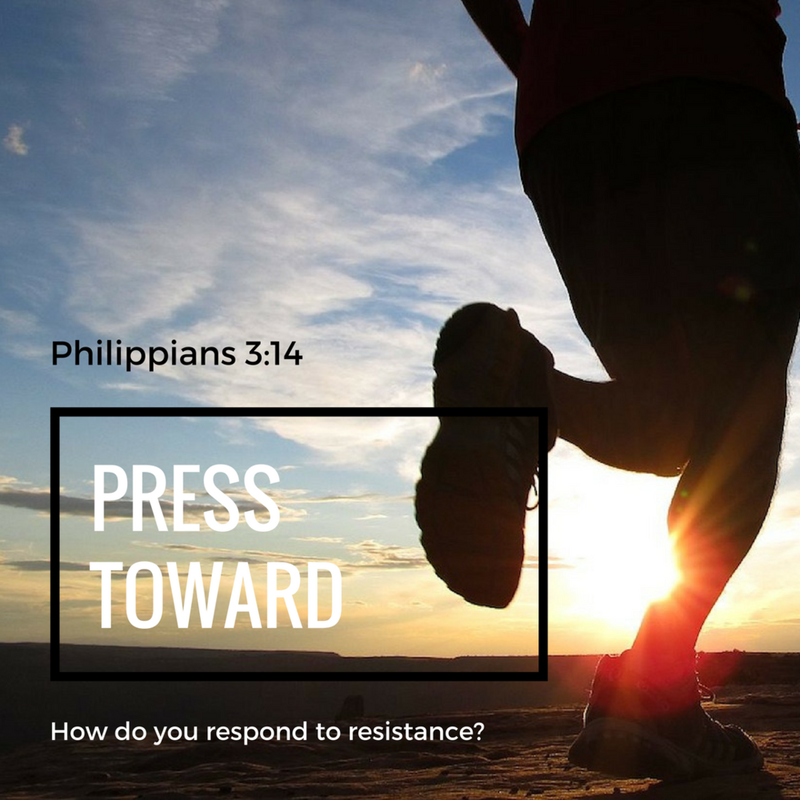 How do you respond to resistance in your life? When you decide to live in the "high calling", you will face opposition and resistance. "…all who desire to live godly in Christ Jesus will suffer persecution" 2 Tim3:12. So, if there's a "high calling", there must also be a "low calling". The high calling is a life lived on earth according to heaven's standards; it's seeing the kingdom of God manifestedthrough an individual's life. People who live in the high calling control their surroundings. By staying in their authority, they change the spiritual climate around them. Darkness cannot overpower light, light always expels darkness. The brighter the light, the more darkness is displaced. This is how it is when we walk in the authority of God's kingdom. We place our surroundings under its rule. Jesus could eat with sinners because HE controlled the atmosphere. If you are stronger in God then the unbeliever is in the devil, you will control the atmosphere. If the sinner is more dominant in evil than the believer is in righteousness, the unbeliever will control the atmosphere. Again, when you decide to live the high calling, you will face opposition. But you've already overcome because of the finished work on the cross. Yet many settle and live for the low calling. Why? They don't want to face the resistance that accompanies pressing toward the high calling. They would rather conform to their surroundings than change them with godly confrontation. It's much easier to blend in than to stand out. The word "press" signifies an aggressive mentality that refuses to give up, rather than a "passive" mentality that follows the path of least resistance. Keep pressing forward with the Grace of God and the power of the Holy Ghost. Greater is He that is in you than what you are facing in the world. Break through the resistance! Press toward the mark! Start today! Why is it Taking So Long for God to Answer My Prayer? Day 1: Daniel prayed. Day 10: Didn't see the answer yet. Day 20: Still didn't see the answer. Day 21: Angel shows up, Bam! He sees the answer to his prayer. Wow. Have you ever prayed for something, and it came rather quickly, and then at other times it seems like it took a long time? Why does God answer some prayers in a short period of time, and some prayers in three weeks or three years? Here's the problem with that question. God answered your prayer the moment you prayed it. However, we think God answered it when we see it with our own eyes. God told Daniel, "from the first day…your words were heard, and I have come because of your words". The variable is not God. 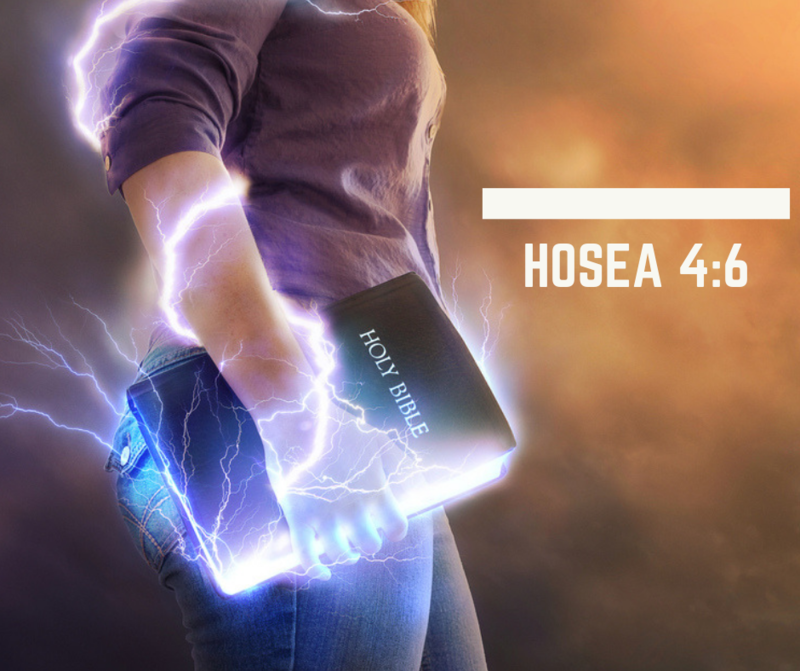 It says in John 4:24 that "God is Spirit", He moves instantly. So what happened? In verse 13, it says, "But the prince of the kingdom of Persia withstood me twenty-one days". Your faith is like a bridge from the spiritual world to the physical world. If you quit standing in faith to see the answer to your prayer because you can't see it, you can stop the manifestation. What if Daniel had quit on the 20th day, right before the 21st day when he got his answer? When we pray, we must believe that the power of God is released instantly on the first day that we pray. Period. Expect to see it, no matter how long it takes. Don't quit. Every day is the "20th day" until you see it! You're "21st day" is coming. A Meal. Or a Mountain. 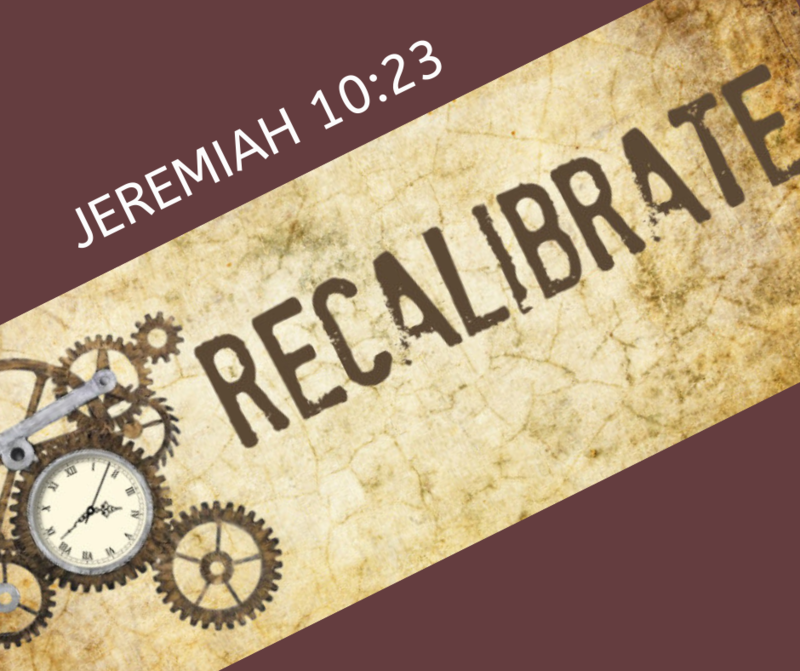 James 4:7 " Submit yourselves therefore to God, resist the devil, and he will flee from you"
Much of religion today believes in a fatalistic mentality that everything that happens in life, whether good or bad, must be God's will. They say things like, "bad things happen to good people". I know what people mean by it, but what's behind it is a doctrine of the extreme sovereignty of God, that says no matter what happens in your life, it's from God. The term "kismet" is an old Turkish word that simply means "fate". In other words, if someone dies of cancer, or a terrible accident happens to a family member, or a woman is raped, well, it must have been God's will, or at the very least, it couldn’t have happened unless God allowed it! In James 4:7, we are told to submit to God and resist the devil. But why resist if everything is from God? Because it's not!! Sickness is not from God. Acts 10:38 says "How God anointed Jesus Christ of Nazareth who went about doing good and healing all that were oppressed of the devil". It also says, "and he will flee from you", the keyword here is you (and me). God will allow what we allow. So don't just accept that you have to live below the standards of God's covenant of blessing, health, favor, and the good life! To resist means to actively fight against. Don't just accept depression as the norm, lack as a way of life, sickness as something to just endure, but instead, use your authority, speak the Word, and say NO! It's your choice…resist or kismet? Ecclesiastes 4:9-10 "Two people can accomplish more than twice as much as one; they get a better return for their labor. If one person falls , the other can reach out and help. But people who are alone when they fall are in real trouble"
Last Saturday night it was kind of cloudy but warm outside, so I took my dog for a walk. Then the strangest thing happened. We were walking along, and I couldn’t see anythingin the sky but I could hear geese honking directly over my head. As a goose flaps its wings it creates an "uplift" for the birds that follow. I learned that by flying a "V" formation, the whole flock adds 71% greater flying range then if each bird on its own. When a goose falls out of formation, it suddenly feels the drag and the resistance of flying alone. It quickly moves back into formation to take advantage of the lifting power of the bird immediately in front of it. If we have as much sense as a goose, we would stay in formation with those headed where we want to go. Are we willing to accept their help and give our help to others? Two are always so much better than one. HONK if you're willing to work with others! You'll accomplish so much more. It's called " synergy", where two or more people work together to produce a result not obtainable by any one independently. Two are better than one. Stay tuned next week for Part Two of "Honk Lessons From Geese".